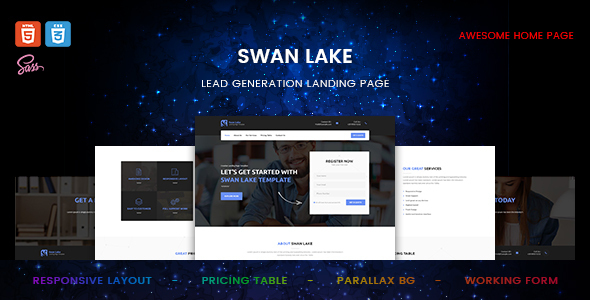 Swan Lake is a Modern and Creative premium Onepage Lead Generation Marketing Landing Page HTML5 Template. Swan Lake is made in a beautiful style. 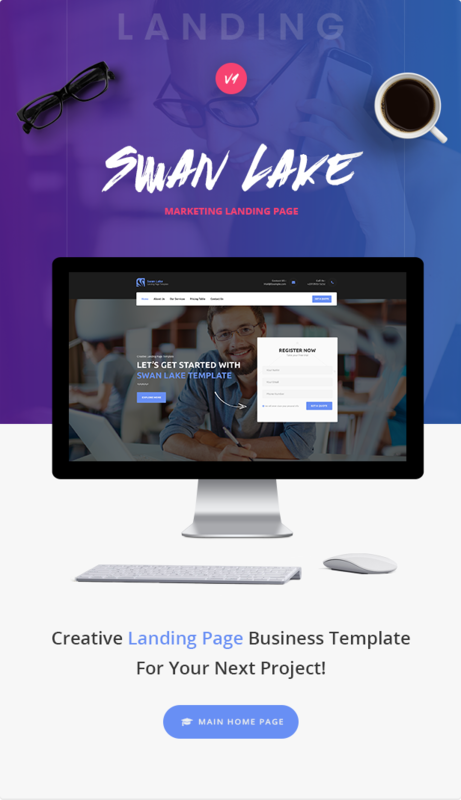 Anyone can use it for Agency, business, business services, and etc.Theme has a universal design, it thought every detail and animation effect. Its just as easy to customize to fit your needs, replace images and texts.